You may have seen this cake before, but I'm posting about it again! Why, you ask? Because The Secret is in the Sauce is having a recipe contest and this one is my favorite! Whenever we have guests come to Hershey, this is what we serve 'em! Fingers crossed that they're as addicted to chocolate as we are! 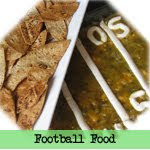 If you have an original recipe you want to enter, go on over and join in the fun! I've converted many a cake-hater with this little number (unless you hate peanut butter, then you're out of luck:)). I tried chocolate/peanut butter cake for the first time at Hershey's Chocolate World and I've worked on this recipe for over a year trying to re-create it. It's fabulous! I've never had such a moist, chocolate-y cake. Right now it's everything "doggie" at our house! 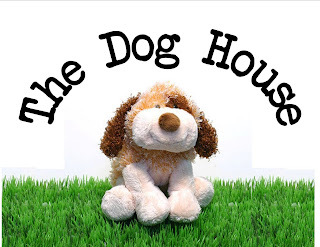 The girls pretend to be doggies, bark their favorite songs, you name it. They would love a puppy, but that just isn't happening right now. So, we decided to celebrate their stuffed animal dogs' "birthdays" with some Pupcakes! 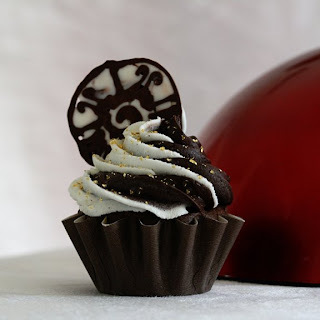 Place one Mini York Peppermint Patty on the frosted cupcake and three Jr. Mints candies on top to look like a paw print. Woof! 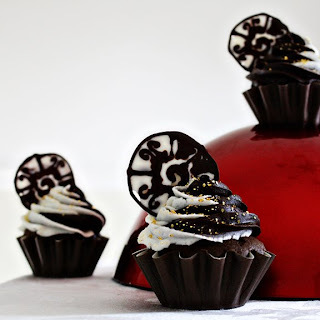 Frost cupcakes with Lemonde Icing. Add a few yellow sprinkles (optional). Place 2 chocolate chips or mini-kisses for sunglasses. Place a small amount of chocolate frosting in a baggie, snip a small corner off the bag and squeeze out to finish "sunglasses". Add a small piece of licorice for a smile. 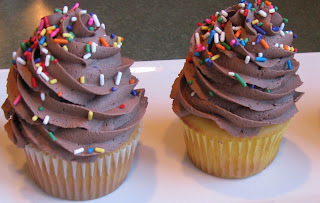 Place Bugles around outside edge of cupcake to make the sun's rays, pressing in slightly to adhere to cupcake. In large bowl, cream shortening and butter with electric mixer until light and fluffy. Add Lemon juice and zest; beat well. When all sugar has been mixed in, if icing is dry, add additional juice or milk and beat at medium speed until light and fluffy. 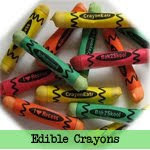 Add food coloring until desired yellow color. During summer, we eat a lot of sandwiches for lunch! We're either running around outside and need something portable or I'm in the middle of a project and need something quick. Also, school is starting soon and I'm sure you'll be after some new sandwich ideas. Here are a few ideas to liven things up. 1) New Shapes. 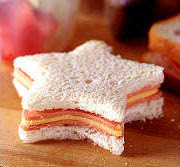 Simply use a large cookie cutter and cut out a shape from a prepared sandwich. Image from Family Fun. 3) Robot. Cut crusts off sandwich and cut into two rectangles. 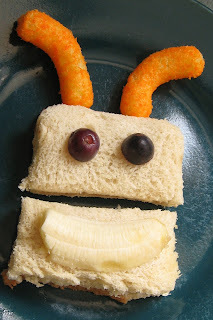 Add a banana smile, grape eyes, and cheese puff antennae. 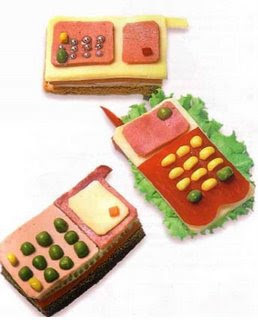 5) Cell phone Sandwiches. This one's from Denise. She's actually a soapmaker, but came up with these cuties! 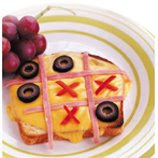 6) Tic-Tac-Toe Melts from HomeBasics. 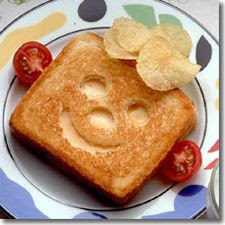 To make the “board”, top a slice of lightly toasted bread with a slice of cheese. Then use thin strips of ham to divide the slice into nine squares. 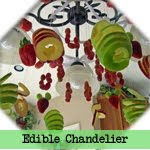 Decorate with playing pieces: “O’s” made from black olive rings and “X’s” made from small strips of red bell pepper. Broil until bubbly and serve. 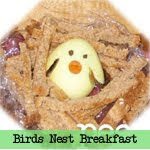 We enjoyed these for dinner tonight with bacon and scrambled eggs. Breakfast for dinner, YUM! Preheat oven to 350. Spray cookie sheet w/ cooking spray. Open biscuits and carefully seperate them into two layers. Spread about 1/2 tsp. jam between layers then press back together, pinching the edges to seal. Cut biscuits in half and pinch edges to make sure they are sealed. Place two halves together on baking sheet, with rounded edges touching. Repeat with remaining biscuits. Spread a slight amount of jam on the top of each butterfly and sprinkle with orange peel and colored sugar. Bake 12-15 minutes, until lightly browned. 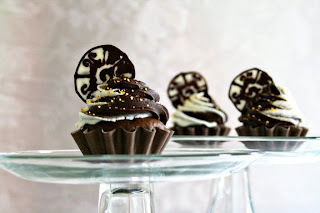 Cool slightly then transfer to a plate where you can garnish with whipped cream "bodies", licorice "antenne", and chocolate sprinkle (or mini-chocolate chip) "eyes". Enjoy! They are sure that you'll be hooked, so they'll give you a bottle for free! That's right! How nice is that? Just register for their free newsletter and they'll send you a coupon for a free bottle of sauce. Yum! Brown chicken breasts then put in crock pot. Mix juice, broth, honey, dry mustard, teriyaki sauce, and Country Bob's All Purpose Sauce. Pour over chicken in crock pot. Cook on low for 4 hours. Add vegetables and cornstarct about 1 hour before serving then cook for an additional hour and serve over rice. Thanks for all the recipes you've been posting on my bloggy giveaway! I was intrigued by Jennifer's recipe for ice cream s'mores, so we had to try it! I made a few modifications (we added bananas since I love chocolate/bananas and love Chiquita as you all know!) and am including the recipe for Grandma's Chocolate Sauce. Place the marshmallows and milk in microwave safe bowl. Microwave on high 2 minutes. Whisk well and microwave at 1 minute intervals until marshmallows are melted. Add the vanilla and cool. When chilled and beginning to thicken, carefully whisk in whipped cream until thick but not stiff. Pour into a greased 9 x 13 pan and freeze. TIME TO STACK! When firm, cut ice cream into graham cracker sized squares. Take one graham cracker, place an ice cream square on top, and place several sliced bananas on top of the ice cream. Add pieces of hershey bar (I found that my kids didn't like them since they get so cold and hard, so I'll leave them out next time) and top with final graham cracker. Drizzle Grandma's chocolate sauce on top or provide everyone with a small bowl for dipping. Note: I made up a whole bunch of these at the same time and wrapped the extras in wax paper, put them all in a large ziploc, and now they're ready for a quick dessert!